Engineered for maximum flexibility our spreader bars are a 2 in 1 rigging solution available in both auto-locking and manual pinning systems. They can be used on their own or in our unique spreader box configuration designed to save you rigging and crane time. Purchase our conversion kit to add corner connections to convert our BELOW THE HOOK AUTO-BARS into a BELOW THE HOOK AUTO-BOX frame. The BELOW THE HOOK AUTO-BAR greatly reduces the risk of injury because the internal locking system means very little manual lifting and pulling is required compared to standard types of spreader bars. Our BELOW THE HOOK manual pull out single or double extension spreader bars slide out smoothly and are easily locked with a manual pin They are available.in many standard lengths and capacities and if required we will custom design and built to your specifications. The BELOW THE HOOK Spreader Bars can be configured to your exact lift configuration. 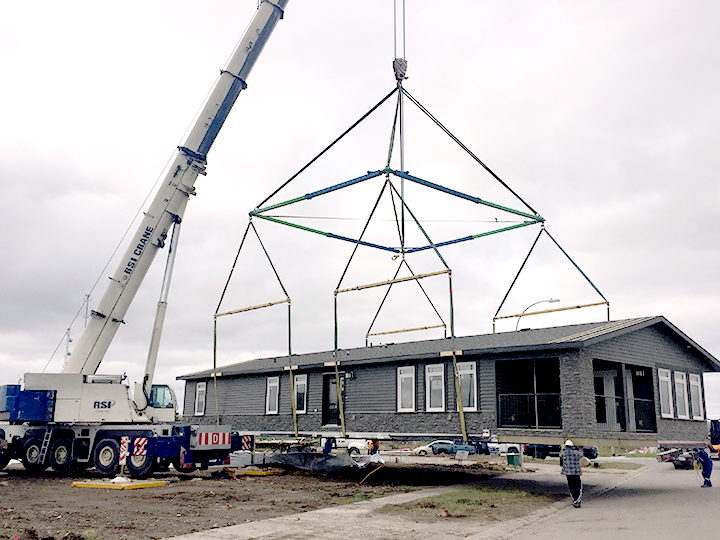 Even lifts like this 8 Point modular home lift pictured above was done quickly and easily with the BELOW THE HOOK Spreader Bars in our Spread Box configuration. Ready for transport or storage in custom cradles. 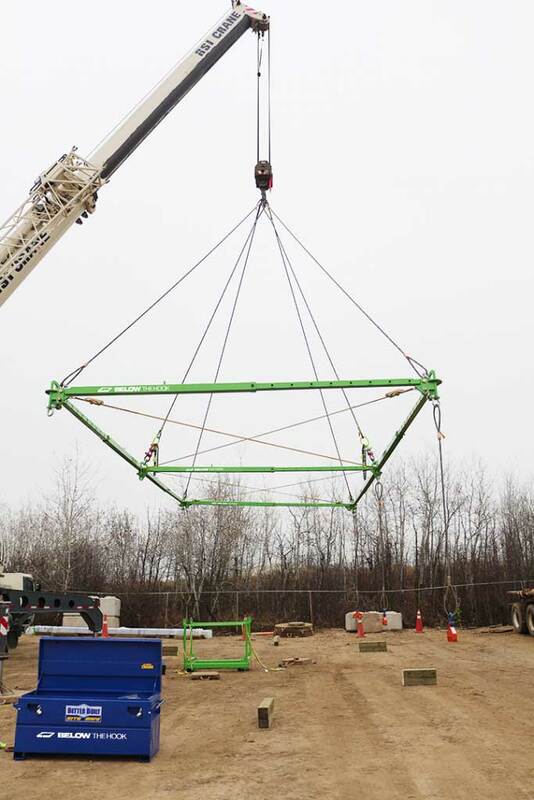 Our unique spreader box frames are designed to save you rigging time and labour costs. With our available auto internal locking mechanism only one rigger is required with the crane doing all the lifting. Purchase our conversion kit to remove the corner connections of our BELOW THE HOOK AUTO-BOX spreader frame when a box frame is not needed. It easily converts your box spreader frame into 4 individual BELOW THE HOOK AUTO-BARS to be used in the conventional manner. The BELOW THE HOOK AUTO-BOX FRAME greatly reduces the risk of injury because the internal locking system means very little manual lifting and pulling is required compared to standard types of spreader bars. 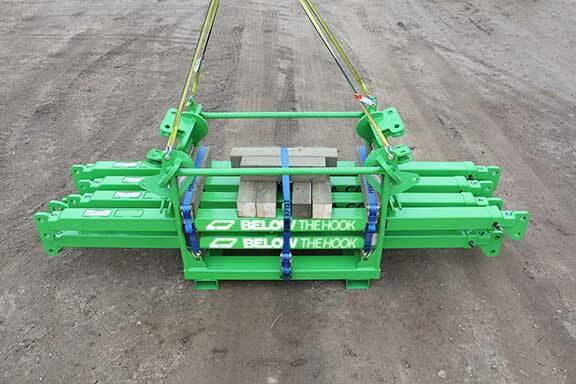 Our BELOW THE HOOK manual pinning spreader box frame is our value spreader box configuration. Single or double extension spreader bars slide out smoothly and are easily locked with a manual pin. Our 6 Point Lift Configuration is shown above. Our Transfer Cradle is an easy way to transport your Manual Pinning Spreader Box. 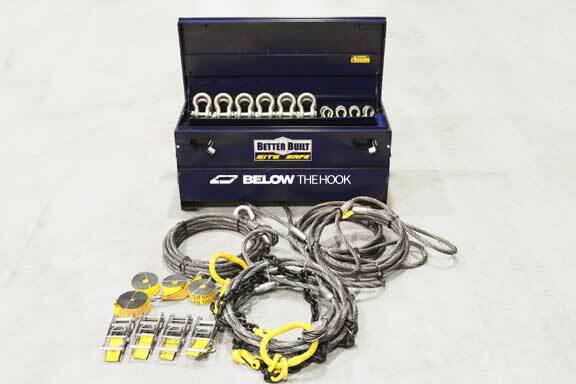 Our BELOW THE HOOK rigging for your Manual Locking Spreader Box configuration ships with our with all required pins and cables. 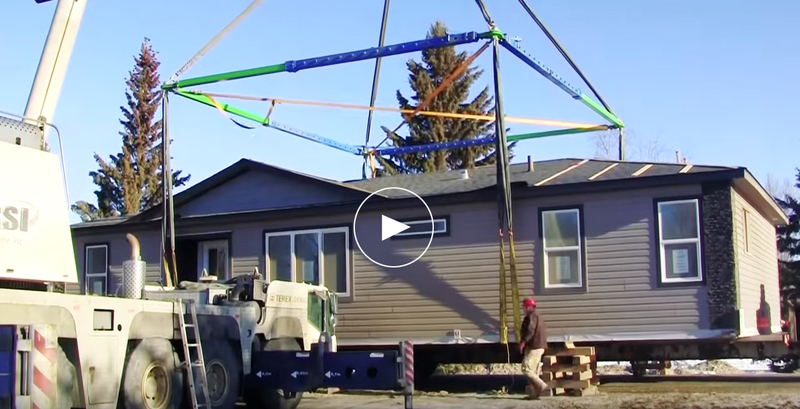 The average set up time for the spreader box is approximately ½ to ¾ hour fully rigged. It significantly reduces crane and labour time significantly. BELOW THE HOOK SPREADER BARS AND AUTO-BOX SPREADER FRAMES ARE THE IDEAL 2 IN 1 RIGGING SOLUTION. BELOW THE HOOK Auto or manual locking Spreader bars are available in multiple size and length configurations to fit your lifting requirements. If you need a custom length we will custom manufacture to your exact requirements. We can also custom design and build spread bars to your exact lift requirements. 43 ton capacity, retracted frame size 18ft.x20ft. extended frame size 30ft.x34 ft.,Adjustable in 1 ft. increments all sides. We can also custom design and build spread frames to your exact lift requirements. For more information and pricing on our BELOW THE HOOK spreader bars and spreader box configuration please contact us today.